In December 1792 Governor Arthur Phillip returned to England accompanied by Bennelong and Yemmerawanne. Following a six-month voyage, they landed in Falmouth, England on 19 May 1793. Bennelong and Yemmerawanne stepped ashore into an alien world where they were cast as both colonial exhibits and Eora diplomats. They are cruel, particularly to their women, whom they beat in a most barbarous manner on every occasion. That instinct which teaches to propagate and preserve the species, they possess in common with the beasts of the field, and seem exactly on a par with them in respect to any further knowledge of, or attachment to kindred. With the governor there embarked, voluntarily and cheerfully, two natives of this country, Bennillong and Yem-mer-ra-wan-nie, two men who were much attached to this person; and who withstood at the moment of their departure the united distress of their wives, and the dismal lamentations of their friends, to accompany him to England, a place that they well knew was at a great distance from them. Governor Philip has brought home with him two natives of New Holland, a man and a boy, and brought them to town. The Atlantic has also on board four kangaroos, lively and healthy, and some other animals peculiar to that country. With Phillip to return to Britain in 1792 Bennelong and his Wangal kinsman Yemmerawanne, a young man much attached to Phillip, were asked to accompany the Governor. Both were travelling as exhibits and as diplomats. 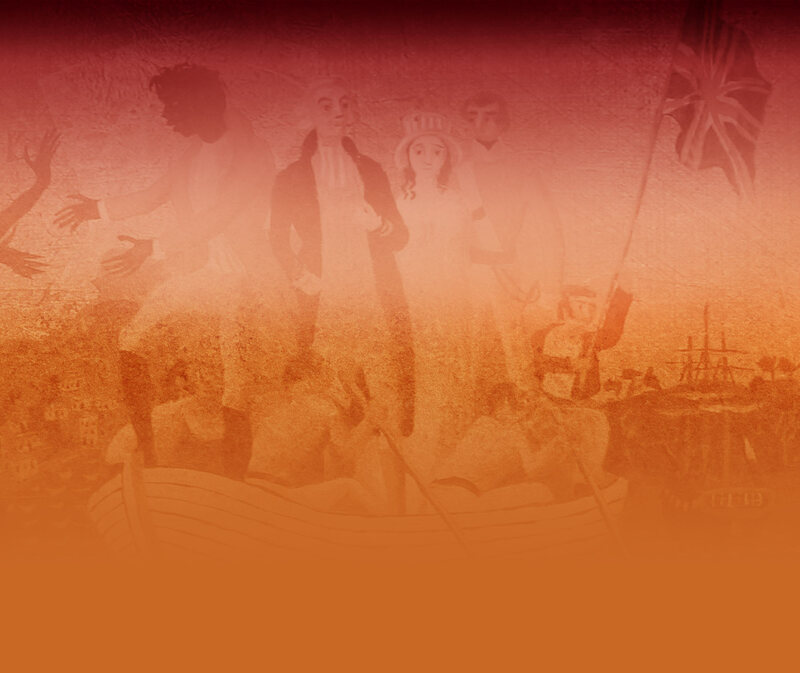 Bennelong boarded HMS Atlantic with Phillip on 10 December 1792. Collins noted that at the moment of their departure both Bennelong and Yemmerawanne seemed relaxed and cheerful despite the lamentations of their friends and relatives. The journey would form the next stage in the process of political and personal negotiations with a people who were likely to become permanent fixtures in the landscape. Phillip was following a well-established tradition of displaying indigenous people who would now enjoy the benefits of British protection and civilization. The Atlantic landed at Falmouth on 19 May 1793 after a six-month voyage.